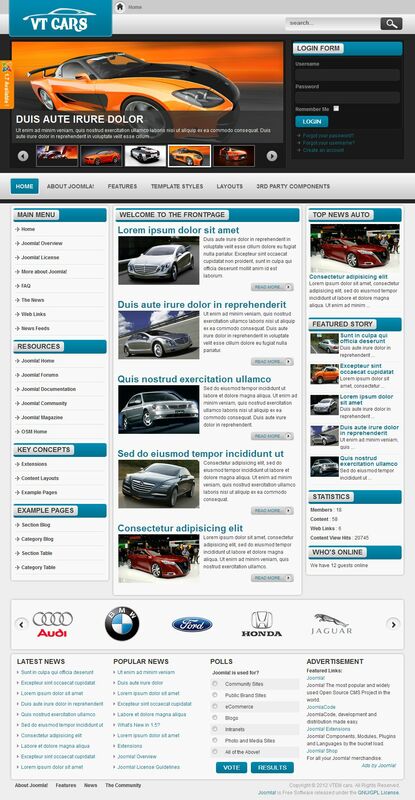 Template automotive subjects VT Cars from studio vtem for joomla 2.5. Suitable for creating auto portal, car reviews, car evacuation service site and other sites on road directions. VT_Cars template has many features that will maximize your project.